Prior to modern day hot tubs, ancient Romans enjoyed gathering socially and recreationally at local bath houses. Although we tend to associate hot tubs and spas with relaxation, some spas can actually be used for exercise as well. Over the past few years, swim spas have emerged as a kind of cross between swimming pools and hot tubs. 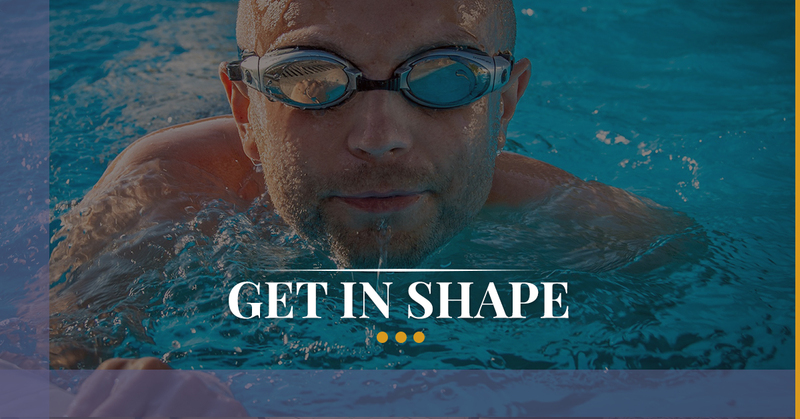 For people recovering from injuries, exercising in the pool is very helpful because this type of workout has very little impact on your joints. Today we would like to highlight some of the benefits of working out in a swim spa. Running in water feels much more difficult than running on land because water provides resistance. Often associated with old ladies at the local YMCA, water aerobics provide excellent resistance training for people of all ages and strength levels. To further increase your strength, you could even buy some water weights for even more resistance. The beauty of swim spas is that they have a stream of water that gives you the ability to swim in place. You can take advantage of this stream for extra resistance when you perform exercises such as walking. If you haven’t worked out in quite some time, exercising can feel especially difficult because you have little range of motion in your joints. One of the main benefits of exercising in the water is the buoyancy it provides, which can help increase your range of motion. When your range of motion improves, your joint health also increases and you have an easier time stretching your muscles. Certain aerobics classes and exercises such as running and jumping can negatively impact your joints. However, water provides a cushion for your joints so that you are able to perform exercises that are normally considered high impact without experiencing joint pain. For this reason, rehabilitation exercises are sometimes performed in water while people are recovering from an injury. Simply put, working out in the water is fun and relaxing. Whether you are swimming, performing resistance exercises or running, the water has a certain calming effect. If you’ve ever performed exercises that are boring and painful, you know how hard it is to stick with your workout routine. However, you are more likely to regularly exercise when you are doing something that you actually find enjoyable. When you have a swim spa in your home, you won’t have to drag yourself into a gym and surround yourself with grunting, macho men lifting heavy weights. You’re also avoiding having to travel to the local gym, saving you time. Better yet, if you install your swim spa inside, you can utilize it all year long, rain or shine. When you are not exercising in your jacuzzi spa, you can simply use it as a hot tub, which the whole family can enjoy. Especially as the temperatures begin to drop this fall, a relaxing soak in the tub feels better than ever. As a reward for a particularly intense workout, follow up by marinating in the tub. At Spa Hearth & Home, we offer a variety of swim spas in different shapes and sizes. If you would rather have a real pool, we sell both indoor and outdoor pools. Our spa store in Maple Shade features an extensive showroom of pools, spas, and a wide selection of outdoor patio furniture. Our family-owned and operated business always services the products that we sell. If you are moving, we can also move your spa from one location to the other. If you are looking for a spa, pool, or outdoor patio furniture, contact our friendly and knowledgeable sales professionals today.